John Holland is one of Australia’s largest construction companies. During its distinctive 65-year history, John Holland has delivered some of the nation’s most important construction, engineering and building projects such as Parliament House, Eastlink freeway in Melbourne, Sydney Desalination Plant, AirportLink freeway in Brisbane and Perth Children’s Hospital, among others. 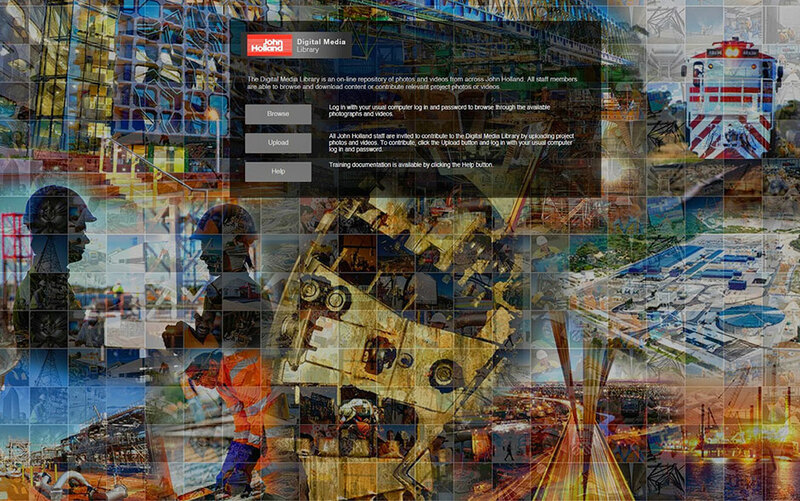 John Holland was looking for a digital asset management (DAM) platform to meet the needs of its diverse range of users when searching for, and using their digital assets. These assets needed to be readily available and easily accessible in order to maintain business momentum. John Holland determined that it had three distinct business requirements: a platform that could be hosted on their network, online availability for authorised outside users, and web accessible without installing additional software. John Holland considered four DAM platforms and ultimately selected Canto Cumulus. Cumulus was chosen in part because of its configurability, which enabled it to be tailored to the company’s needs. Once selected, John Holland performed the initial installation and engaged databasics professional services team to help with configurations. Cumulus enables John Holland to easily catalogue finished assets in a central location so they are available to the rest of the organisation. When an asset is catalogued, metadata is added to each asset to provide more detail, thus making it easier to locate at a future time. 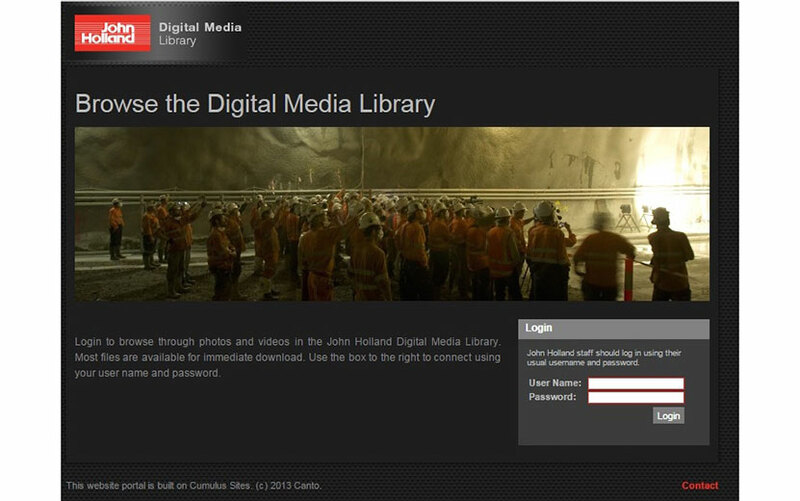 Staff members can upload photos and videos from anywhere using the Uploader add-on. The new uploads pass through Roboflow workflow approval process, then notifies selected members of the organisation about newly uploaded assets, who can approve the asset for download or check on authorisation. Assets are easily searched and can be filtered by project, theme, activity, person, format, file size and many other useful metadata fields. The Canto Integration Platform(CIP) lets John Holland integrate its DAM with other systems in their application suite. For example, when the company wins a new construction project, that information immediately appears in Cumulus as a metadata tag that can be applied to digital assets. Photos and videos can be searched and used through their other platforms as well based on the assets’ metadata. Today, John Holland’s communications, business development, and tender teams have all their assets readily available and easily accessible. Staff already have access to more than 30,000 photos and videos showcasing the company’s proud history.